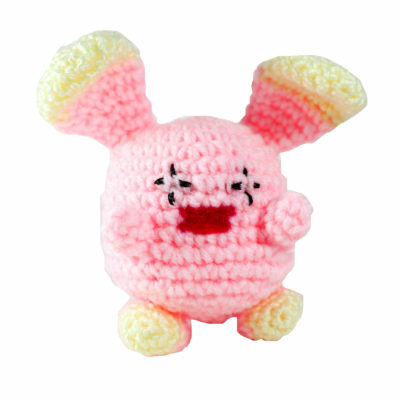 This Amigugumi Whismur plush fits perfectly in the palm of your hand! Although Whismur seems a little bit upset I'm sure deep down inside he would love to join your team. Did You Know? According to Whismur's Pokedex (Emerald) Entry – it inhales through it's ear canals so it can cry out loud constantly without having to inhale a breath. 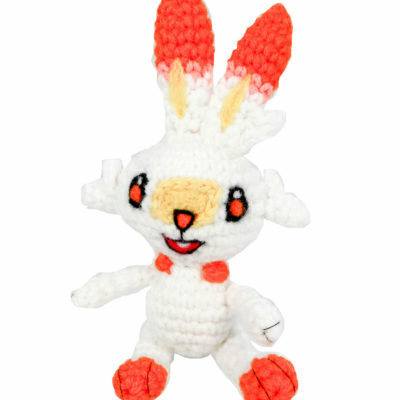 Let this amigurumi tiny plush up-grade your team! 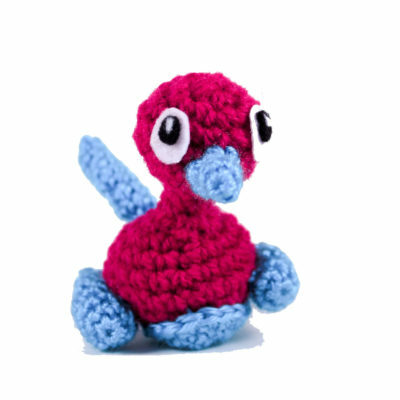 Porygon 2 is the evolution of Porygon (via- you guessed it- an up grade!) Why not provide a new home for this little techie birdie. 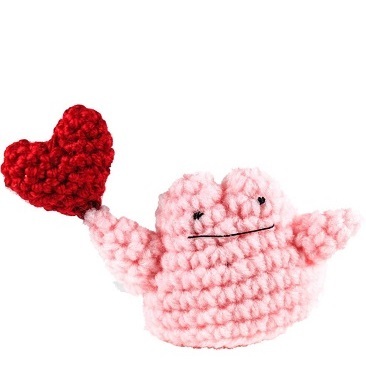 This cute crochet Ditto plush toy is perfect for Valentine’s Day, or any occasion to surprise that special someone with a unique gift! 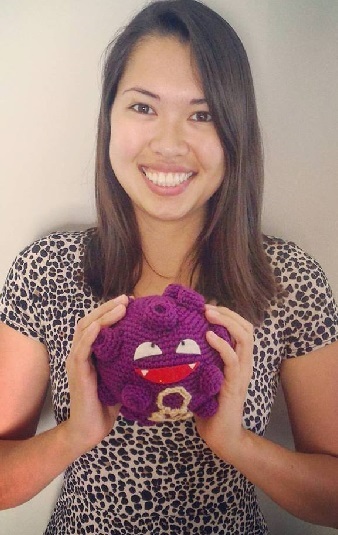 If you’d like to crochet your own little Ditto with heart the crochet pattern is available for FREE in the patterns section of my website! Choose Ditto if you think your love is perfect the way they are! 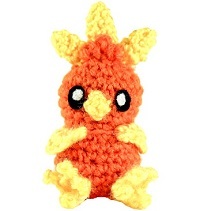 This amigurumi Pokemon plush toy is my take on the fire Pokemon Torchic. Did You Know? Torchic may be based on the Basan, a fire-breathing chicken like creature in Japanese mythology. Every home could use a little green plant life to brighten up the room and air quality! This amigurumi Pokemon plush toy is my rendition of the popular starter Pokemon Bulbasaur. 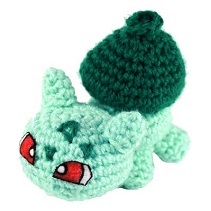 If you would like to crochet your own Bulbasaur the pattern will be made available soon in the patterns section of my website! And Remember… Bulbasaur is THE #001 Pokemon!